Today’s blogmas topic is my outfit of the day. Normally during the week I have to wear a super fetching uniform shirt but today is casual Friday so here is what I’m wearing. I swear by the hammer of Thor, next time I’ll take a photo of myself. Maybe. I usually dress strictly for function at work. Jeans mean I can hop under desks if I need to without flashing the world and dress trainers mean I can easily run out to site wearing the same shoes. On non-Friday days I often have to wear steel caps with dress pants or skirts – such a good look! Stripey tee, jeans and a cardigan are pretty much my go to casual Friday outfit. I love stripes. 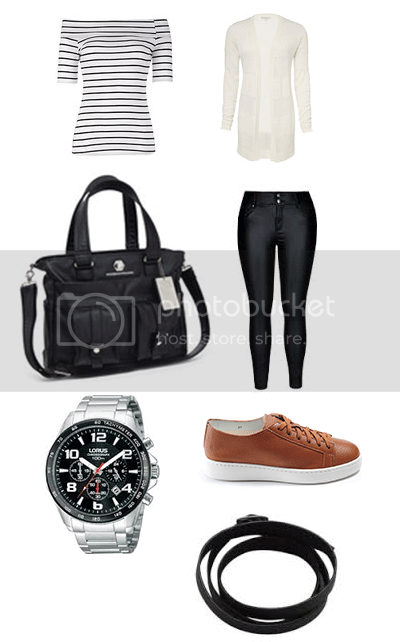 I own about 6 stripey t-shirts and I love them for being either casual or dressy depending on the day.I have two versions of this ThinkGeek handbag, black leather for my work bag and a taupe linen one for home. It fits everything. The only limit is your carrying capacity which I love, lots of little pocketses. I had to feature this super pretty necklace separately because I mean – just look at it! I bought it some time ago from Designs by Annette on Etsy. I love love love her pieces because they are so unique and funky. 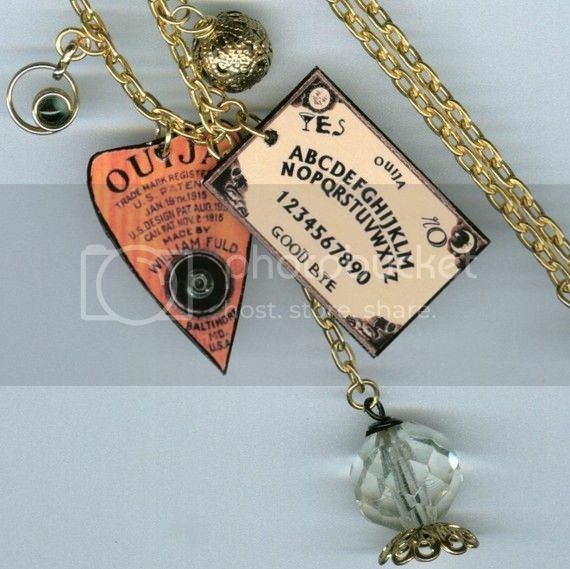 I’m normally not a gold jewellery person but I couldn’t go past this one with its cute little crystal ball and planchette. Anyway, that’s my outfit of the day – hope you liked it! Me either! Very much a jeans and t-shirt type of girl. Comfort over style I always say!